Bulkheads & Syphon Tubes are available for Ace Roto-Mold tanks in the following sizes. 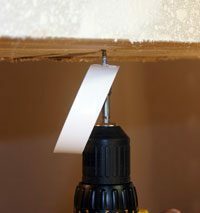 Standard fittings that come included with each tank are listed in each tank table. A syphon tube is included with the purchase of all Pick Up Tanks and all Vertical Tanks 300 gallons or greater. 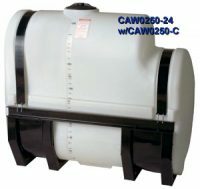 Fittings listed below are available as additions to tanks ordered with multiple fittings. 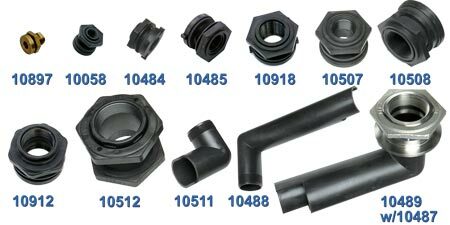 Both fittings and syphon tubes are available as replacement parts. If you need assistance determining which replacement part your tank requires, call our customer service department at 1-800-433-3579.